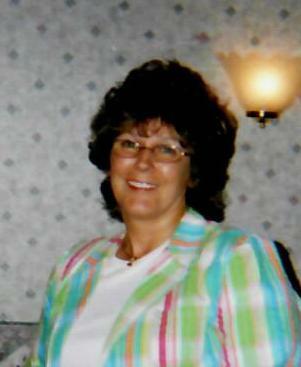 Margaret S. (Margee) Mellon, 62, of Oil City, PA. , died at 7:10 P.M. Sunday Feb. 3, 2019 at UPMC-Northwest in Seneca after an extended illness. of William Becker and the late Shirley Hopper Becker. Margee was a 1974 graduate of Cranberry High School. She worked at Polk Center from 1974- 2006 making friends with her kind and considerate personality. Being a very spiritual and faithful person, she had many good memories with her church family. She attended the Fertigs Church of God of Prophecy. One of her favorite memories was spending time with her mother and her aunts, Connie Baker, Dootie Burneisen, Ellen Stiller and Joan Conway. Margee and her mother could always be found shopping, eating out or attending each others church functions together. She also enjoyed the many trips to Colorado to visit her sister Faye and her family. as well as many dear cousins. In addition to her mother, she was preceded in death by her sister Faye Proctor, nephew Jimmy Proctor and her beloved aunts as well as a nephew Joshua Goodman. Her most cherished pet, Sweetie, will be waiting anxiously for Margee at the Rainbow Bridge. Friends will be received from 12:00-2:00 P.M. Friday in the Reinsel Funeral Home. Funeral Services will be held at 2:00 P.M. in the Funeral Home with Rev. Tim Tygert, Presiding.